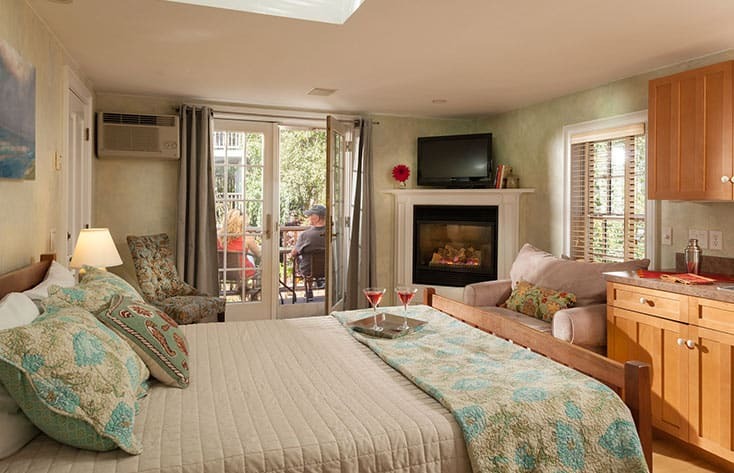 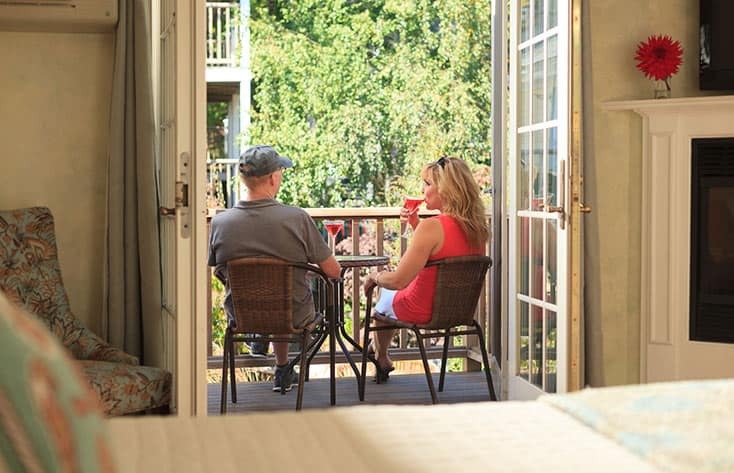 You can hold court from the wonderful balcony off of this unit that overlooks the beautiful gardens and courtyard of our luxury hotel in Provincetown. 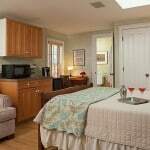 Exquisite views of the monument, DVD player, and over the bed skylight are some of the features you will find waiting for you in Mary Oliver. 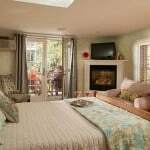 The bedroom has a queen size Tempur-Pedic bed, gas fireplace and the NEWLY RENOVATED bathroom features a large walk in shower with daisy shower head. 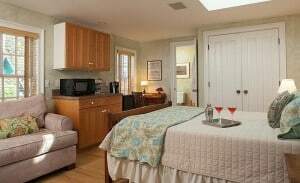 This unit is on the 2nd floor of 102 over the Great Room. 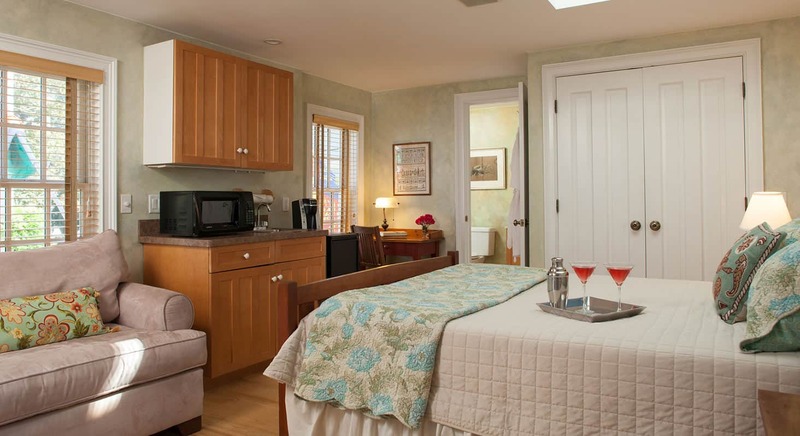 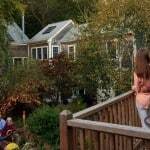 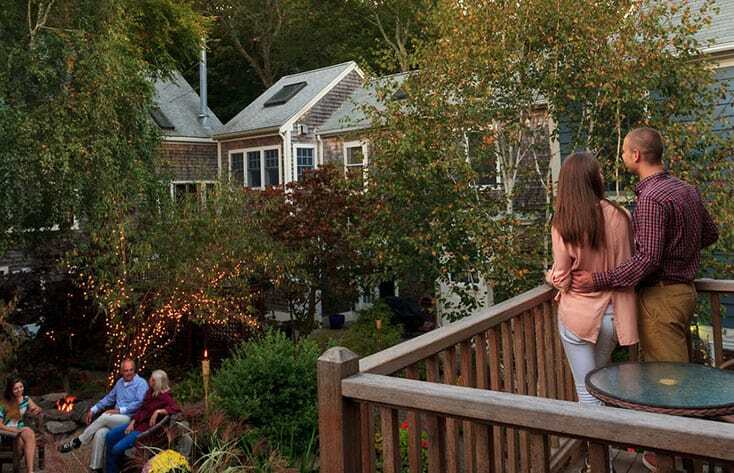 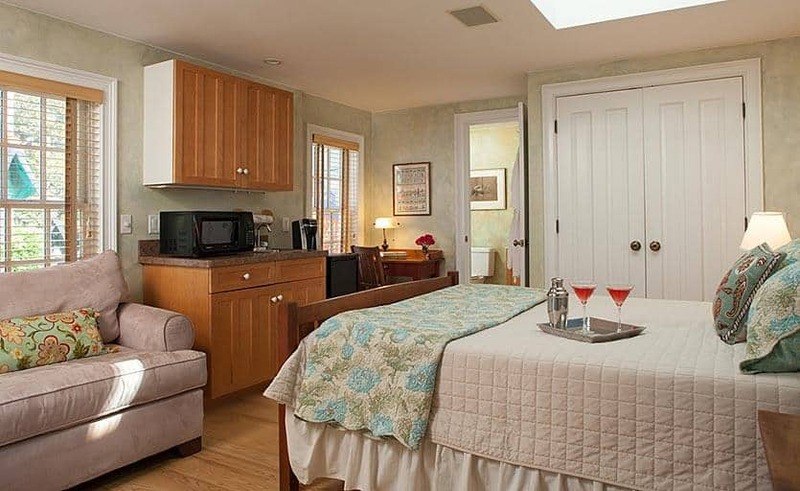 Enjoy your stay in our top rated Provincetown lodging.